Keep your priorities in focus! 7 programs to choose from for your next Women’s event! 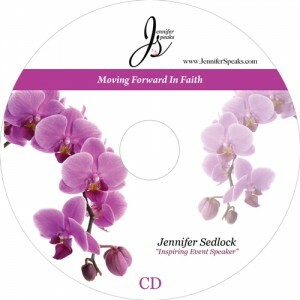 Click here for Jennifer’s printable Faith One Sheet for groups deciding to bring in Jennifer. Running Toward Your Life Purpose! Getting to the Heart of Your Spiritual Gifts! You are unique. Your talents, abilities and gifts are specific to the core of who you are so that you might fulfill your purpose for your life. What are your gifts? What would you do if you knew you wouldn’t fail? What do you think you are you being called to do? Take a look at how to get clear on the path to get there. What do you still need to “work out” before you can move forward? Is anything holding you back? Today, seek your gifts, your purpose and get on the path leading you there! Available as a one hour presentation. 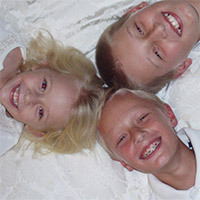 A complete 3 hour Spiritual Gifts class with spiritual gifts test is also available for groups of any size. Just call for details. Being a Mom and a Wife and Still Having a Life! Are you juggling and balancing so much that you have no time to think about your purpose? Do you ever wonder how you will get everything done in a day? Welcome to maintaining our sanity in the busy life of a mom! We will focus on purpose, passion and priorities. 1. Starting each day right. 2. Stop comparing and start sharing. 3. Keeping a strong focus during a chaotic day (“Where was that list? – I just had it 5 minutes ago! And when did I get this syrup stain?”) Laugh your way to more joy while living on purpose. Bring in Jennifer for a one hour program! If you could experience your ideal holiday season, what would that look like? How can you keep Christ as the center of all the activities of the holiday season? Learn how to align your “to do” lists with God’s callings and purpose for you. Find great tips and ideas for saying “yes” and “no” to various activities. Schedule yourself according to your gifts, purpose, priorities and personality! Create ways to experience more joy in the season while simplifying your life! 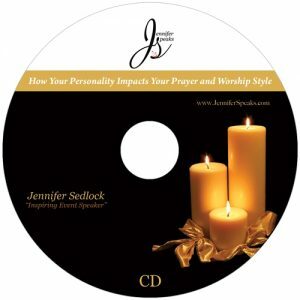 What are others saying about Jennifer’s programs? 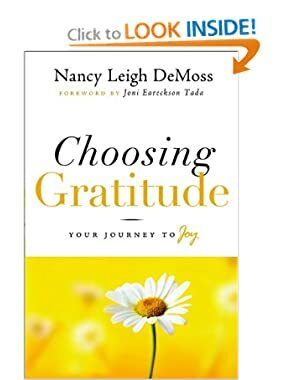 Listen here for a book recommendation on Choosing Gratitude, then click on link above to purchase it for yourself or as a gift! Contact Jennifer today for your next event! Help us eradicate curriculum Ashtanga Yoga from elementary schools! presents “Truth About Yoga” website: http://truthaboutyoga.com/. To donate to Saving Faith Ministries to spread the Truth About Yoga please make a donation of any amount here https://tinyurl.com/SavingFaithMinistries Your donation is tax deductible as per the 5013c filing approved in 2015! Thank you for your help to educate the public on this very important issue! NEW! Hot off the press soon – a book about the foundational California Yoga in Schools Trial – the first over the issue of Yoga as curriculum in elementary schools replacing 2/3 of Physical Education time. This book is the “insiders story” from the families that stood up in the Encinitas Union School District against much public ridicule, to educate others about Ashtanga yoga and the Hindu based yoga foundation that brought this to American schools, now spreading rapidly with wealthy billionaire backing. See the facts that were never told in the news or allowed in the short injunction trial. The story behind the story is now being released! Presale link to Pre-order Book here!